Creekside Acres in Berkshire, Tioga County is owned and operated by Larry & Donalyn Ketchum. 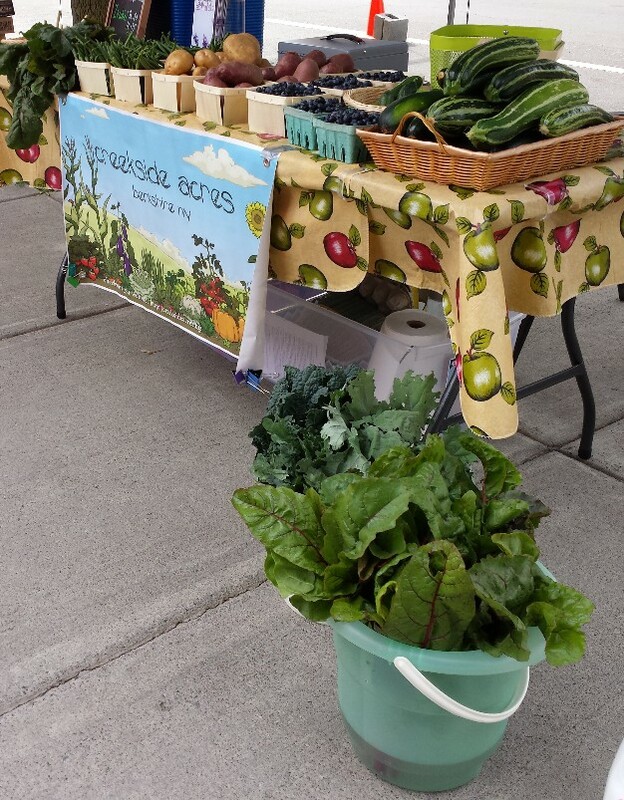 Long time gardeners, in 2015, they decided to become Farmer’s Market vendors at the Thursday Night Farm to Fork Market in Owego. Locally grown food is a passion of theirs, reflected in their own lifestyle, as well as in Donalyn’s blog, The Creekside Cook [thecreeksidecook.com], where she encourages people to cook at home, with simple, delicious recipes, garden tips and stories of their life “way out in the country”. The decision to become vendors, was rather a spur-of-the- moment thing, as the Ketchums were looking for a way to utilize all of the produce that they grow, which often exceeded what they could use or give away to family and friends. Since Larry’s retirement, the size of their gardens seems to increase by the year, as they have added asparagus, raspberries and more fruit trees over the past few years. Larry’s garlic patch also gets bigger every year, as he works to cultivate a strain of hardneck garlic that does particularly well on the property. In addition to produce, and eggs from their free range chickens, Donalyn sells baked goods, jams and beginning in June 2016, skin care products made with all organic ingredients and essential oils, plus bedding plants and herb plants from their greenhouse. Larry continues to satisfy his need to build things [he retired from carpentry in 2014] by making blue bird houses, which will be for sale this year. He would like to see more people site blue bird houses on their property, as they eat so many garden pests, helping eliminate the need for pesticides. You can reach Creekside Acres by phone at (607) 765-8345. Visit Donalyn’s blog, The Creekside Cook, for recipes, gardening tips, and more.